Your smile should be a point of pride and not something that you feel self-conscious about. If you’re like many people, you may hide your grin in public or during photos because of flaws and imperfections. Problems like chips, cracks, gaps, and more can ruin a beautiful smile and even damage your confidence. 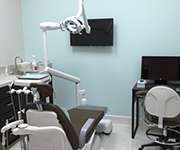 Thankfully, at Smile Solutions Dentistry, Dr. Nirav Patel offers porcelain veneers in Palm Beach Gardens to completely transform your set of teeth. Keep reading to learn everything you need to know about porcelain veneers and the benefits they will bring you. 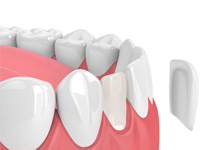 Porcelain veneers are thin shells of dental porcelain that are bonded to the front surfaces of your teeth to conceal a wide-range of imperfections. They are one of the most popular cosmetic services because they offer a comprehensive and quick solution to correcting various flaws all at once. Dr. Patel can correct one imperfect tooth, multiple teeth, or even your whole smile. These ultra-thin shells of porcelain are strong enough to withstand your natural biting power, and they also mimic the way your teeth reflect light for a natural-looking grin. Some also refer to porcelain veneers as “instant orthodontics” because of their ability to give your slightly crooked smile a beautifully straight appearance. 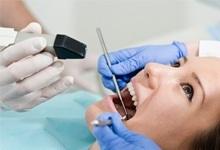 This can be done without the multiple years that orthodontics can take to complete. What is the Process of Getting Porcelain Veneers? After you’ve discussed your smile goals with Dr. Patel, he will contour or remove a small portion of your teeth to accommodate your porcelain veneers. Then, he will take impressions and images of your grin to develop your custom-made veneers as an exact match to your natural smile. After about a week, you’ll come back to our practice to have your personalized veneers bonded in place. Although this process typically takes 2 separate appointments, the transformation results are instant once your veneers are placed. How Should I Care for My Porcelain Veneers? A great benefit of dental porcelain is that it’s stain-resistant, but that doesn’t mean that you shouldn’t take care of your new smile. In fact, a good oral healthcare routine and regular dental visits can extend the lifetime of your veneers for an even longer lasting smile. When brushing twice a day, for 2 minutes each session, use a nonabrasive toothbrush and toothpaste. Hard bristles and abrasive toothpaste can scratch your veneers, especially if you tend to scrub hard. Try thinking of your brushing routine as a massage for your teeth instead of aggressively scrubbing them. You should also floss daily to remove harmful plaque and bacteria from in between your teeth.